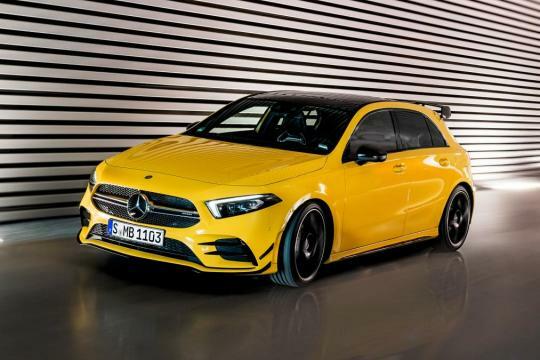 This is the all-new Mercedes-AMG A 35, the new entry point into AMG ownership. 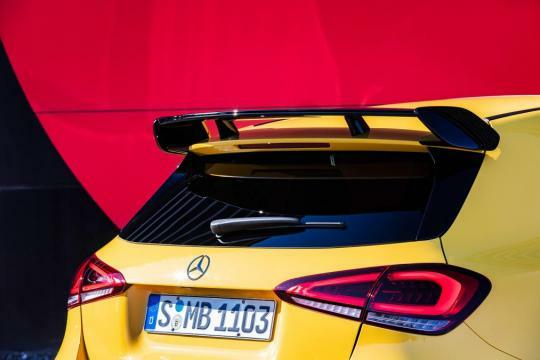 Revealed ahead of its official debut at next month’s Paris Motor Show. 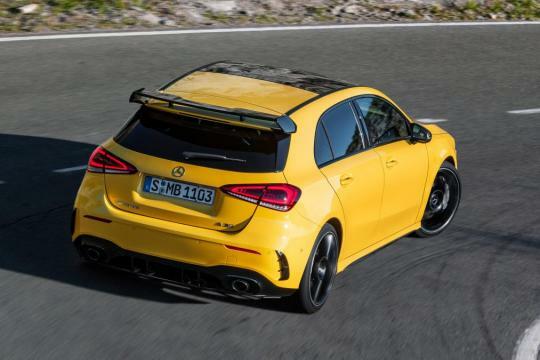 The AMG A 35 acts as the performance brand’s Audi S3 and VW Golf R rival - a more accessible model in terms of performance and price. 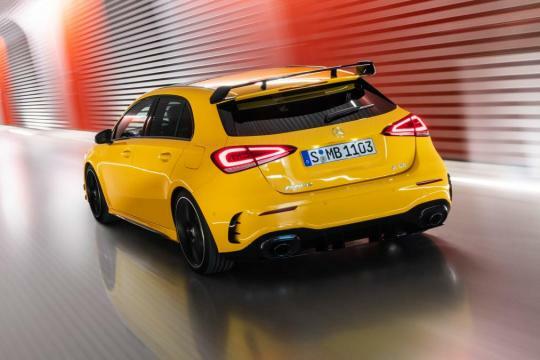 It’s the warm up act to the fully-fledged AMG A 45 that will be revealed next year with even more power. 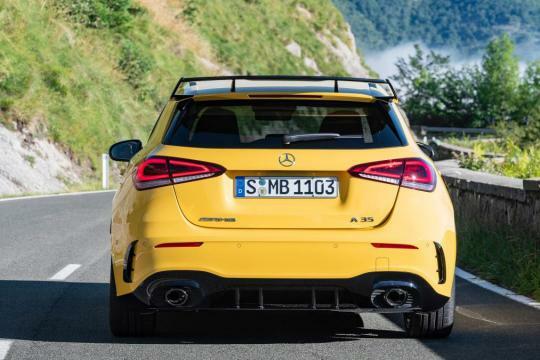 Clearly identifiable as an AMG, the A 35 features a fixed rear wing, 18-inch alloy wheels, slightly widened arches and new front and rear bumpers sporting large air inlets and black winglets. A sports exhaust also features automatically controlled values as standard. 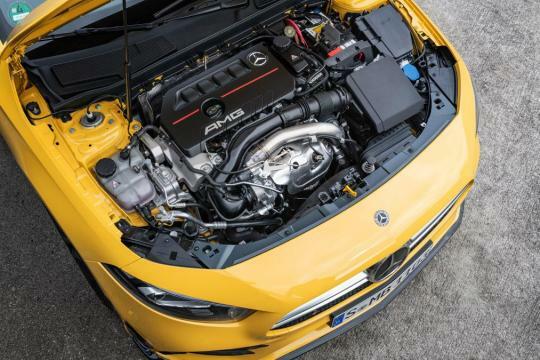 Under the skin you’ll find Merc’s latest 2.0-litre four-cylinder turbocharged petrol engine, which has been tweaked and repurposed for use in an AMG. It features a twin-scroll turbocharger and variable valve control, which helps develops 302bhp/400Nm of torque. 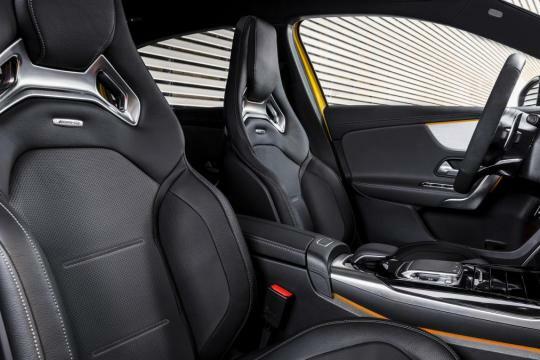 As standard it’s paired with Merc’s 4MATIC all-wheel drive system and a seven-speed dual-clutch gearbox. Enabling a launch control function allows for a claimed 4.7 second 0-62mph time and a top speed limited to 155mph. Five driving modes are available: Slippery, Comfort, Sport, Sport+ and Individual. The new Slippery mode reduces the engine’s power and encourages early upshifts, while in Sport and Sport+ the engine and transmission become more aggressive in their responses. 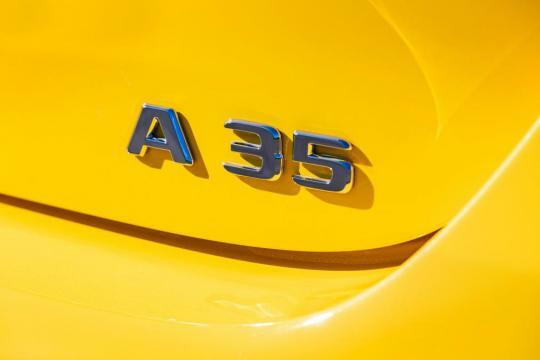 The A 35 also features a new AMG Dynamics programme, which uses the brakes on the inside wheel on the rear axle to increase agility when cornering. The suspension comprises a MacPherson strut and aluminium wishbone on the front axle, while the four-link setup is found on the rear. Customers can also option an adaptive damping system, which serves up three different suspension modes. 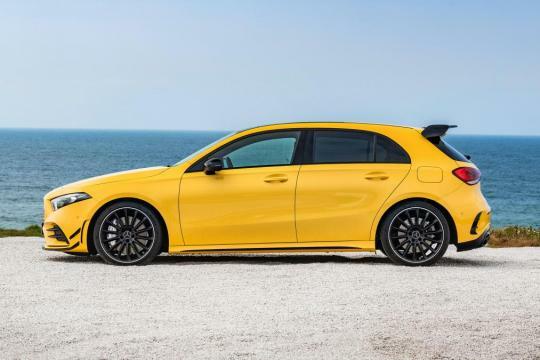 Inside the design mirrors that of the standard A-Class hatchback with a several AMG flourishes to mark it out such as the microfiber and man-made leather sports seats, digital AMG instrument cluster and flat-bottomed AMG steering wheel. Mercedes’ latest MBUX infotainment systems features, controlled via voice or touch control. 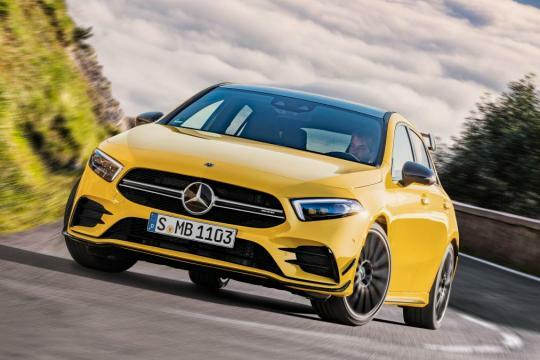 The system also supports a new optional AMG Track Pace function, which tracks 80 vehicle-specific pieces of data when driving on track. As the MBUX infotainment system supports augmented reality, the ‘racing line’ of tracks saved into the car’s GPS, such as Spa or the Nurburgring, can be projected on to the head up display when driving. Sigh... so much dilution of AMG.